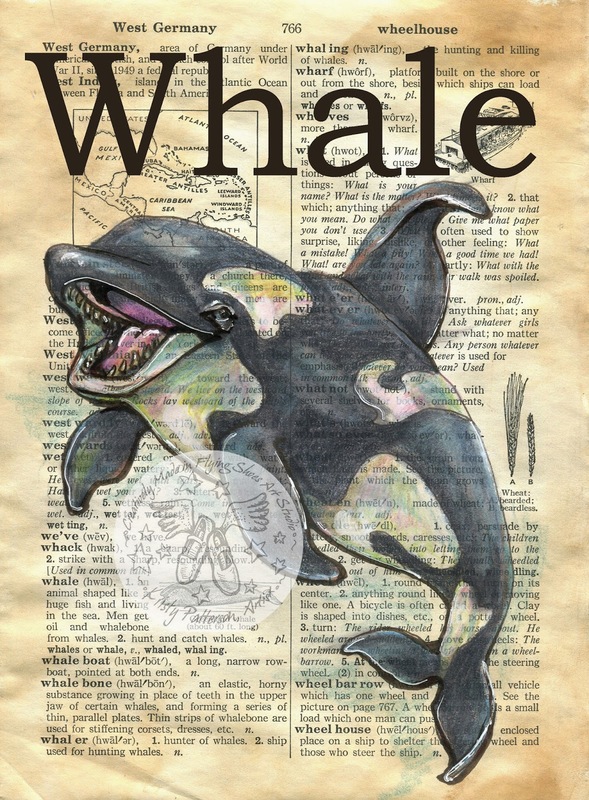 A customer at a recent art show requested a drawing of a killer whale for her grandchild's nursery. The baby isn't due until February so she was gracious enough to let me enjoy the holidays and get school underway before I started on her commission. She generously purchased a drawing for each of her grandchildren but needed this picture to complete her gifts. This fella was a lot of fun to create. I respect all the concern over keeping these magnificent creatures in captivity but I have to admit I cried with joy when I got to see them perform at the San Diego Sea World a few years ago. I noticed then how much personality these monsters seemed to exhibit. While I researched my drawing I noticed the same facial expressions I first saw at Sea World. These creatures seem to actually smile. I thought a smile was the perfect expression to hang on the walls of newborn.